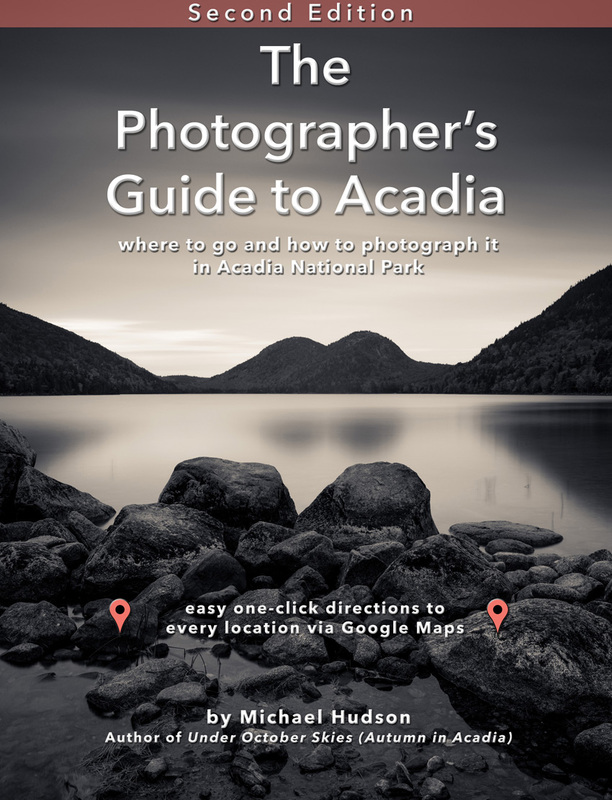 I first published the Photographer's Guide to Acadia in 2014. Over the years, I've been keeping notes about places in Acadia that photograph really well. Some locations are better photographed in the early morning, others in the afternoon, and some are best seen while the sun is going down. It took me years of visiting these locations again and again, at all times of the day, to realize this. I found some places in books or on postcards. I asked locals and other photographers for suggestions. I pored over maps to discover where the light might be extra special at a certain vantage point. Some locations were great and I came away with beautiful photos. Other places sounded good, but photographically, I came away with nothing. But all the while, I kept making mental notes about where the best places were. Eventually after eight years of exploring Acadia this way, I sat down one winter to write a book where I could share my extensive knowledge of Acadia with other photographers– so that they could spend their time in the park well, not searching fruitlessly with nothing to show for their labors. OK now... I'm all about wandering through the landscape with no agenda, observing purely for the sake of enjoying nature. But I also know most visitors have little time to wander aimlessly. They want to leave with iconic images, beautiful prints that they can hang on their walls or show friends. The new, second edition of the Photographer's Guide to Acadia gives you my Top Ten suggestions of places to see and photograph in Acadia. But I also tell you when to visit them- the best time of day– and how to photograph them. I share with you the camera settings I used, what kind of lens is best in any given location, and any other extra gear I used, and what filters might be appropriate. I also talk about how to use your camera more effectively, and how to creatively use aperture and shutter speed to be more artistic in your photography. Best of all, every photo in the book is tagged with a link to Google Maps, so that you only have to touch a photo on your screen and you'll be taken to the exact location where I made the photo, and be given directions how to get there. You can't do that with a printed book; only an ebook has this advantage! If Under October Skies is my ultimate book of fine art landscape photography in Acadia, the Photographer's Guide to Acadia is the book that gives away all my secrets. You'll read how I made many of the images, the gear I used and what I was thinking when I made the photo. If you're planning to visit Acadia National Park this year, download your copy of the book and start planning your trip now. It's only $12.99. 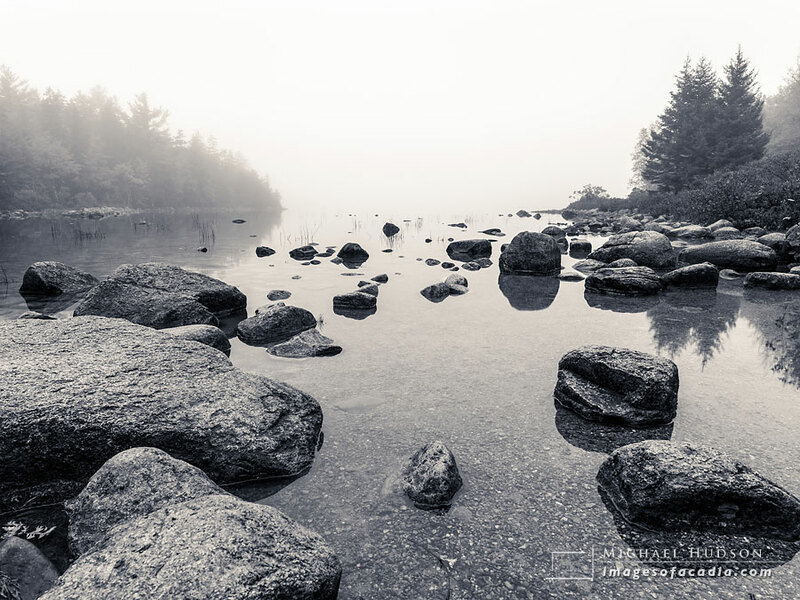 Become an email subscriber to the free Images of Acadia newsletter. Find out when new photos are added, hear about discounts on prints or books, learn about photography workshops in Acadia, and other news.